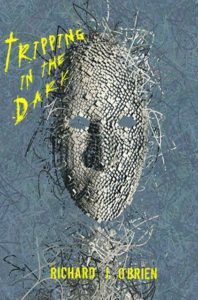 “Selfish in life, when I am gone / I want to become unbearable,” writes Fairleigh Dickinson University MFA alum Richard J. O’Brien in “When I Am Dead,” a poem found in his poetry collection, Tripping in the Dark, just out from BareBackPress. Congratulations, Richard! Many of the poems within this collection were a part of Richard’s creative thesis here with Fairleigh Dickinson University’s low residency MFA in Creative Writing program. We are honored to call Richard one of our own. Richard J. O’Brien lives outside Philadelphia, PA. He received his MFA in Creative Writing from Fairleigh Dickinson University in 2012. His poems have appeared in The Hollins Critic, Stoneboat, Torrid Literature, and others. In June 2015, Vagabondage Press published his novel The Garden of Fragile Things. Richard teaches at Stockton University, Temple University, and Mercer County Community College.